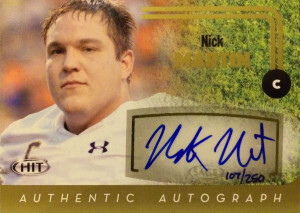 Nick Martin is a highly regarded center who played for the Notre Dame Fighting Irish. Clocking in at 6’4″, 301, Martin has the flexibility to play center and guard. The team captain in 2014 and 2015, Nick played on the same line as his brother Zack in 2013. A center with a mean streak, Martin is a road grader who has the true potential to become a starter at the pro level. Scouts rave about his talent, but with such a deep pool of prospects at his position, Nick will go off the board between the 2nd and 3rd rounds. With Ben Jones betraying the Texans for a pittance to join the Tacks in Tennessee, the Texans were still looking to shore up their offensive line after making some free agency moves. Houston drafted Martin with their second round pick where he is expected to compete for the starting center or guard job. 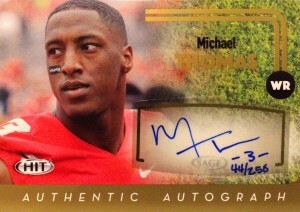 Michael Thomas is ranked among the top 5 prospects at wide receiver in the 2016 NFL draft. Aided by perhaps his pedigree as a member of Ohio State, Thomas has shot up boards with incredible boom/ bust potential. He’s got the big 3 things scouts look for in spades (weight, speed, and height) but scouts were unimpressed by his football load while playing for the Buckeyes. They just felt he was underutilized, wasn’t demanded to use too much of the route tree, and didn’t showcase his abilities- which he’s just scratching the surface of. Still it looks like Thomas will go as early as round 2 or late as round 3 in the 2016 NFL draft. He shot up final draft boards, and the Saints drafted him with their second round pick. Thomas is expected to replace recently departed Marques Colston at WR. The Baylor Bears have been known to play defense fast and loose. 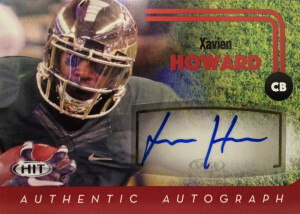 Howard played solidly however for Baylor over the last two years, starting 26 games while recording 93 tackles, 9 interceptions, and 23 pass breakups. He posted some decent numbers at the combine, and scouts liked his ballhawking attitude, but questioned his downfield speed and technique, making for an uneven tape. He’s expected to go as early as round 2 in the 2016 NFL draft. The Dolphins pulled the trigger on Xavien when their second round pick came up. He is expected to compete for a starting job in the secondary.